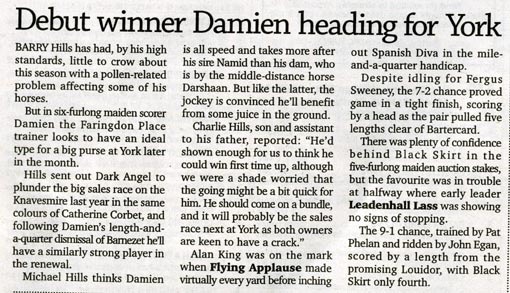 Damien maintains 100% winners to runners for Swordlestown Little! Our first runner of the year wins a six furlong two year old race at Windsor on Monday night. The Barry Hills trained Namid colt out of Miss Shaan wins his maiden first time out in very good style and gets a rating 0f 80. He will now be aimed at the £ 300,000 sales race in York in September. He also holds a Group 2 entry in the Mill Reef Stakes. This is very exciting and there is lots to look forward for the rest of the season as Khayar will run in Newmarket on 7th August and Theola is making good progress as well. Below Racing Post article on Windsor, 28.07.08. Damien (left and middle) and Miss Shaan's lovely 2008 colt by Mujadil (right). Tell the difference! 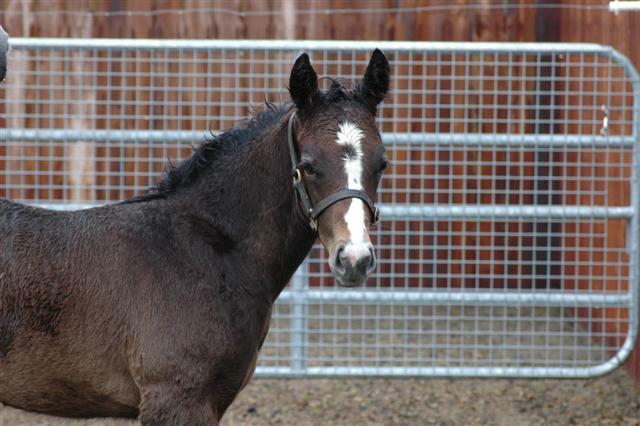 Both Laura and the Marju filly are striding out well and above Buttons, proud mother of her first litter of rugrats! 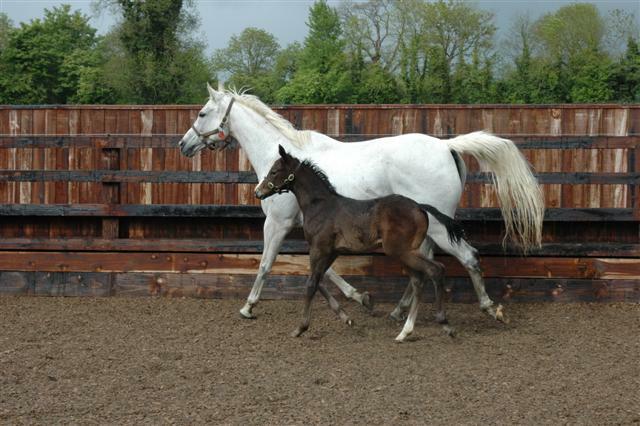 Our Marju filly out of Stariya (above) has left us and joined Jaqueline Norris\' Jockey Hall Stud to start her preparation for the 2008 Goffs Million Sale in earnest. 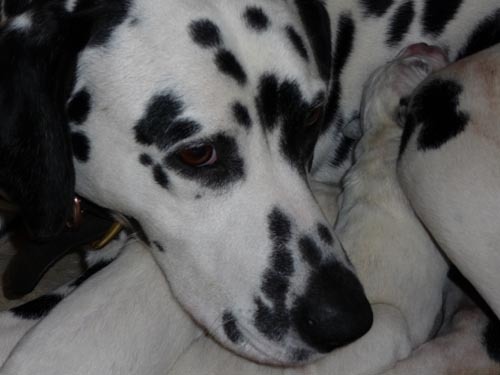 The big news is that Buttons had three puppies and they are growing like rockets already. One is destined for Switzerland, so my sister Kristin has to come over soon to choose her birthday present!